In January 2019, defense media reported that the U.S. Army plans to request funding from Congress to procure two advanced Iron Dome air-defense batteries from the Israeli firm Rafael. The $373 million deal would compromise 240 Tamir interceptor missiles, twelve launchers, and two radars and command trailers. At least two more batteries of undetermined design are required by 2023. The Iron Dome is a mobile air defense system developed by an Israeli defense tech entities, Rafael Advanced Defense Systems and Israel Aerospace Industries. When IDF forces attacked Hezbollah in the Lebanon War of 2006, the militant organization responded to the ferocious Israeli aerial bombardment by firing over four thousand rockets, killing forty-four Israeli civilians. (Lebanese civilians deaths to IDF strikes are estimated to number 860.) The Iron Dome began development in 2007 as a semi-affordable means to intercept the incoming projectiles. 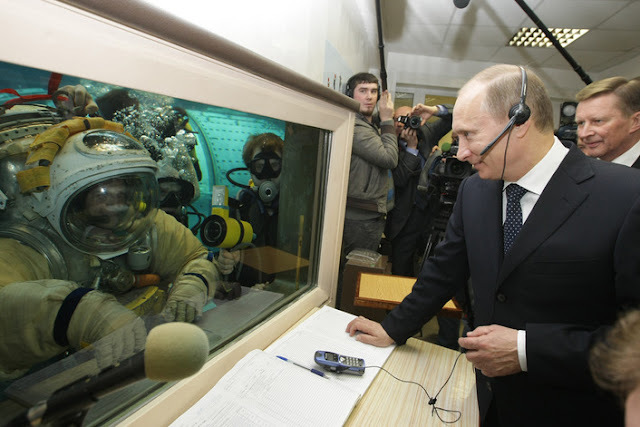 After a few years of testing, the system was operationally deployed in March 2011, and shot down its first rocket less than two weeks later. Though initially a purely Israeli defense project, in 2011 Washington began providing funding totaling $1.5 billion by 2018 in exchange for access to Iron Dome technology. In fact, 70 percent of the components in its Tamir missiles are built by Raytheon in the United States. Israel currently has ten batteries deployed, with five more planned. The Israeli Navy also intends to deploy four modified Iron Dome batteries at sea to protect maritime assets. Azerbaijan and Roman purchased Iron Dome batteries in 2016 and 2018 respectively, though the number involved remains unclear. There are also rumors that Israel sold the system to Saudi Arabia, though both governments vigorously deny it. 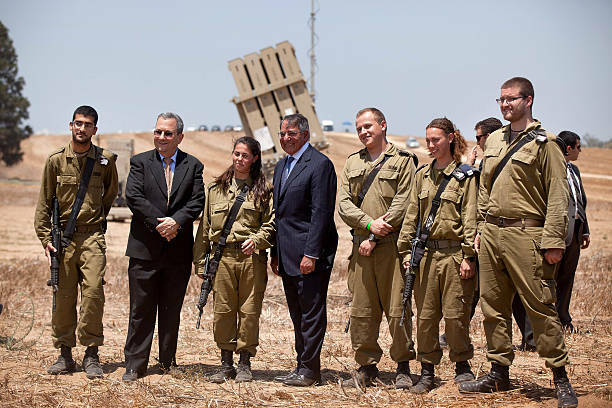 Each Iron Dome battery consists of three or four launchers carrying twenty Tamir interceptors; a search/fire-control radar; and a trailer containing a Battle Management and Weapon Control center to coordinate the rest via wireless connection. The batteries can be easily redeployed by 6 x 6 trucks in response to operational needs. 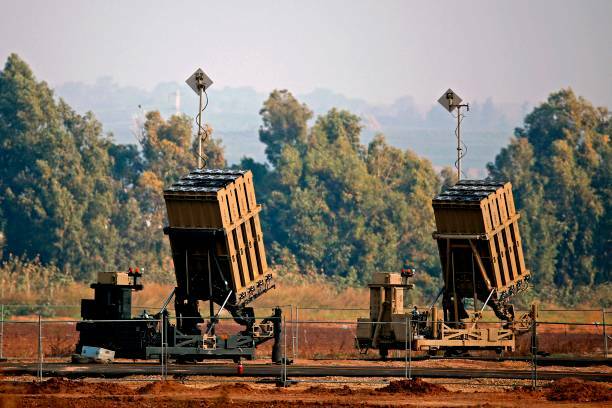 The Iron Dome relies upon a high-resolution EL/M-2084 Active Electronically Scanned Array radar to detect incoming rockets and shells up to forty-three miles away. The system then calculates the projectile’s trajectory to determine whether it is likely to hit a population center, or explode harmlessly in an unpopulated area. Only in the former case is an interception attempted. The slender 160-millimeter Tamir interceptors then hurtle towards the incoming threat at up to 2.5 times the speed of sound, guided by the ground-based radar. However, as the three-meter-long missiles close with the targeted projectile, their nose-mounted electro-optical sensor takes over to provide more precise terminal guidance. A proximity fuse detonates the missile’s thirty-five-pound fragmentation warhead once it enters range. The Iron Dome’s-based greatest test came when IDF troops attacked Hamas positions in the Gaza strip in July 2014. Gaza militants launched around 4,600 rockets and mortar shells in response, around one-quarter of which landed near areas populated by Israeli civilians. The six Iron Dome batteries then active were hastily reinforced with three more. Together, they shot-down 735 rockets and mortar shells and failed to intercept around seventy, consistent with an 85 percent to 90 percent success rate claimed by the IDF. In total, Palestinian rockets and mortars killed five Israeli and one Thai civilian and injured eighty in 2014. Additionally, nearly three hundred short-firing militant rockets landed in Gaza, killing thirteen Palestinian civilians, most of them children. 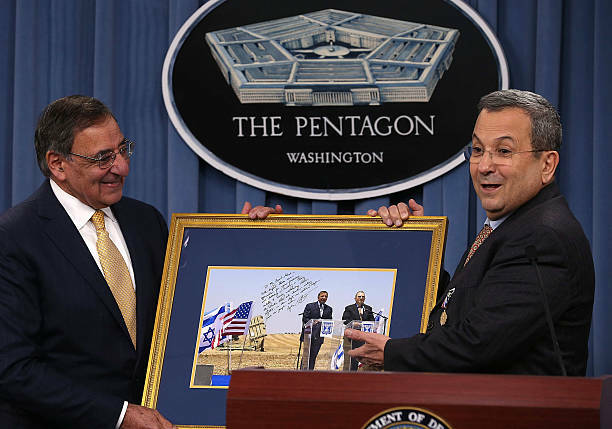 Israeli Defense Minister Ehud Barak (C), and U.S. Defense Secretary Leon Panetta greet Israeli soldiers during they visiting the Iron Dome defense system launch site on 01 August 2012 in Ashkelon, Israel. The Iron Dome was designed to intercept and destroy short-range shells and rockets. Secretary Panetta was on a four day state trip to the Middle-East he made some stops in several countries like Tunisia, Egypt, Israel and Jordan before returned back home to Washington DC, United States. Despite the system’s popularity in Israel, critics have questioned whether officially successful Iron Dome intercepts are actually effective at neutralizing incoming projectiles, though some of the more sweeping critiques themselves appear flawed when given scrutiny . A more measured 2018 assessment by Michael Armstrong argues the system’s success rate against projectiles landing in populated areas may lie between 59 percent to 75 percent. Cost-efficiency is another concern. Though some sources list the Tamir missiles as costing as little as $35,000 each, the new Pentagon’s funding request lists a price of $150,000 per missile. Even this higher figures is peanuts compared to multimillion-dollar Patriot air-defense missiles. But even going by the lower figure, each Tamir is many times more expensive than the projectiles it is destroying. Cruise missiles, however, are more difficult to intercept than crude rocket artillery arcing in a predictable ballistic trajectory. Modern cruise missile designs often include defensive features such as skimming at very low altitudes and engaging in pop-up or l-shaped maneuvers prior to impact; others have stealthy reduced radar cross-sections, or travel extremely fast at supersonic or hypersonic speeds. Indeed, in IDF service the Iron Dome is meant to be complemented by two higher-tier defensive systems: the David’s Sling for taking out cruise missiles and short-range ballistic missiles up to one hundred miles away, and the hypersonic Arrow-3 ABM to intercept faster, longer-range-ballistic missiles. Thus the Iron Dome may require adaptation to serve as more than an interim solution. Furthermore, as system’s limited range means it can only provide local defense, more than two to four batteries would be required to provide substantial coverage for frontline troops. Thus, a favorable evaluation could lead to a much larger-scale procurement. Indeed, the Pentagon is considering investing large sums to make Iron Dome networkable with other U.S. air-defense systems, and in 2016 even tested integrating the Tamir missile into a fifteen-cell “Multi-Mission Launcher” designed to fire a variety of missiles. The Tamir’s capabilities may actually make a more natural fit for other short-range air-defense missions such as shooting down surveillance or kamikaze drones, helicopters and even standard 155-millimeter artillery shells. No other existing air-defense system can claim the over one-thousands intercepts achieved by the Iron Dome. Now the Pentagon is set to evaluate whether it represents a cost-efficient air-defense solution outside the unique threat environment it was designed for.